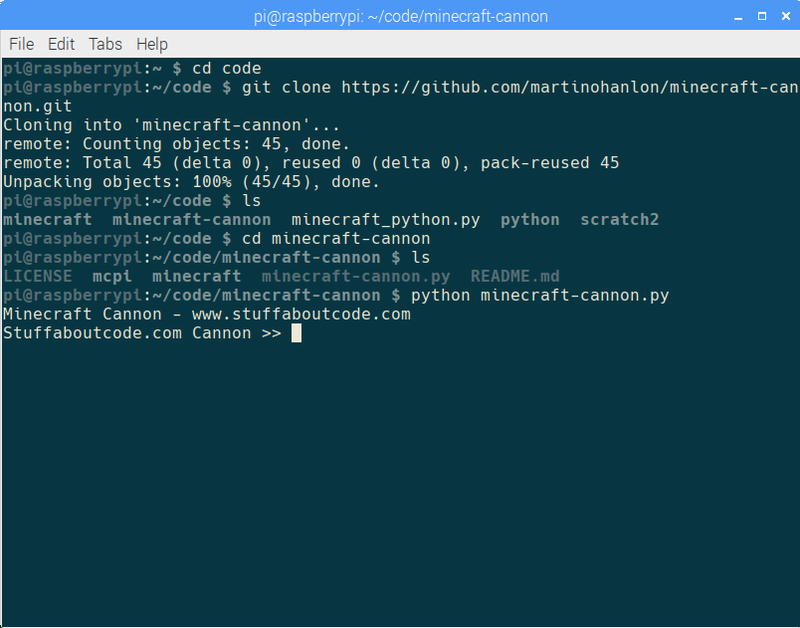 Using Minecraft’s API and the Python programming language, spawn a cannon that’s orientation and launch trajectory can be adjusted in real time. GitHub is an online repository that offers version control. It is most often used for computer code and interacted with using a command line tool called git. 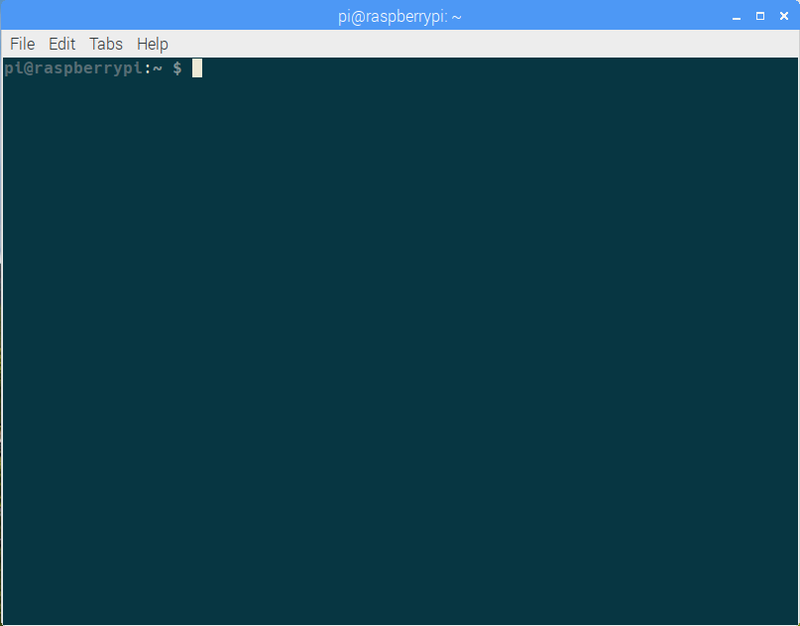 Open a terminal either using the icon or the keyboard shortcut CTRL+ALT+t. 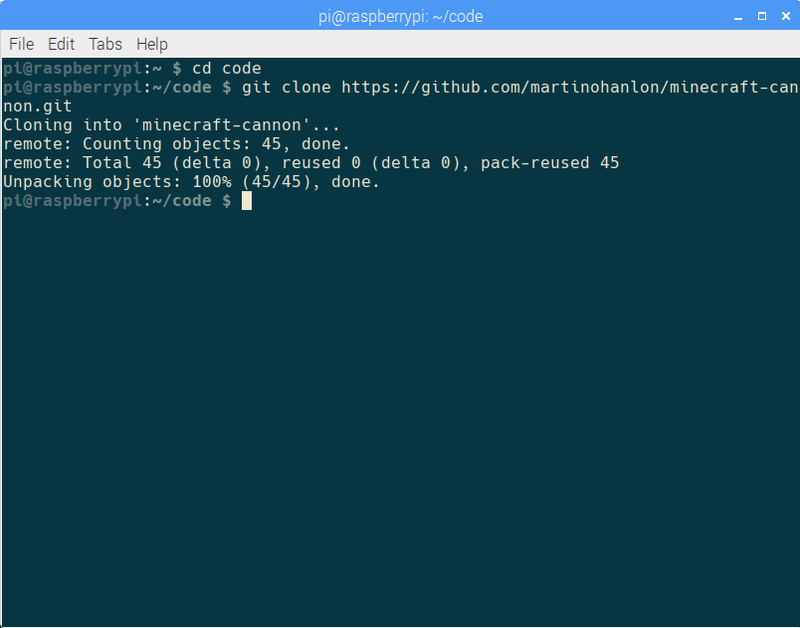 When opening the terminal like this we are placed in the home directory. 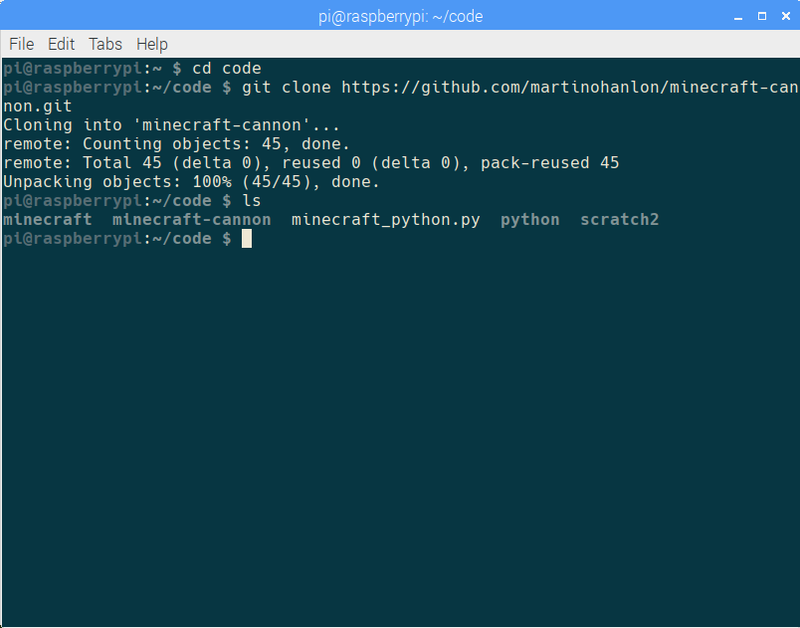 In RPi: Minecraft + Python Introduction we created a directory named code in the home directory. 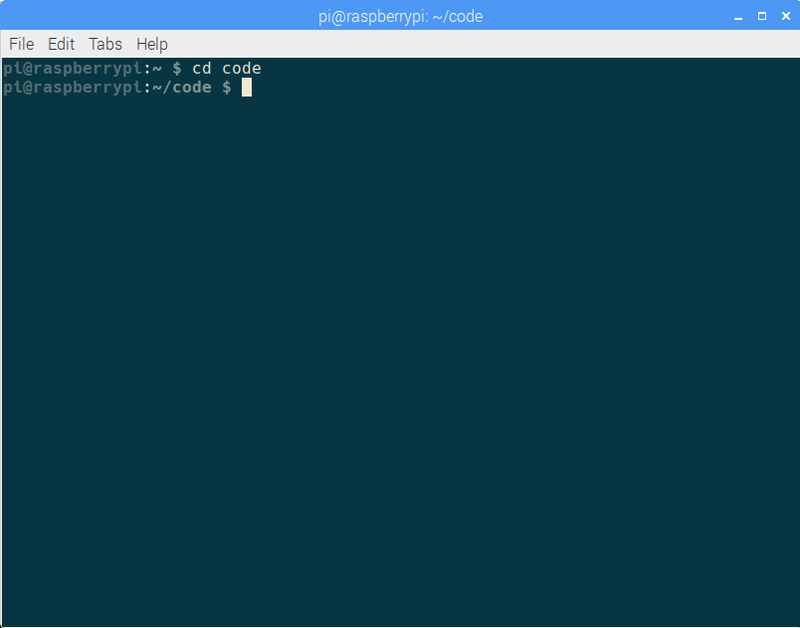 We will now navigate into that directory using cd (change directory). Enter the following into the terminal. It is informing you of the directory you are currently in, also known as the current working directory. Remember that ~ (tilde) refers to the home directory. There are several files and directories here, feel free to explore them using cd. will move your current working directory “up” one or backwards into the directory containing the current directory. At this point we need to launch Minecraft and get into a game. 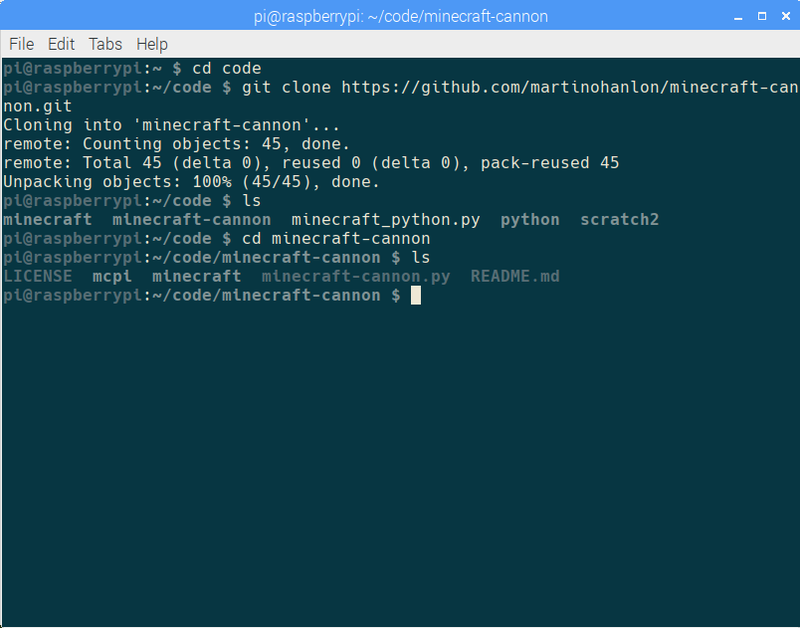 this instructs the Raspberry Pi to use Python to run the “minecraft-cannon.py” file. You can now use the following list of special commands to create, aim and fire a cannon in the running Minecraft game. Start spawns a cannon, exit an active cannon. Using start multiple times in a row will construct multiple cannons however only the most recently made cannon can be controlled with the other commands. You do not need to include the square brackets when typing the commands. 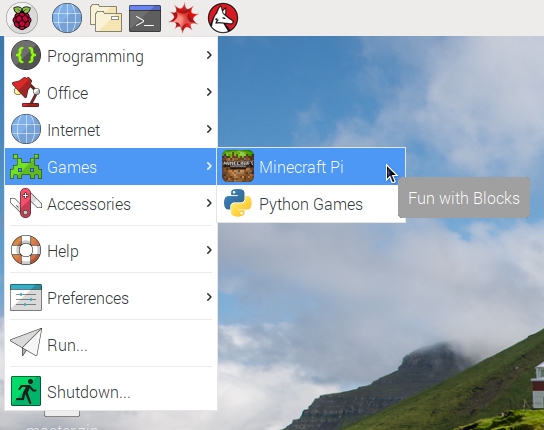 Posted in Minecraft, Raspberry Pi.